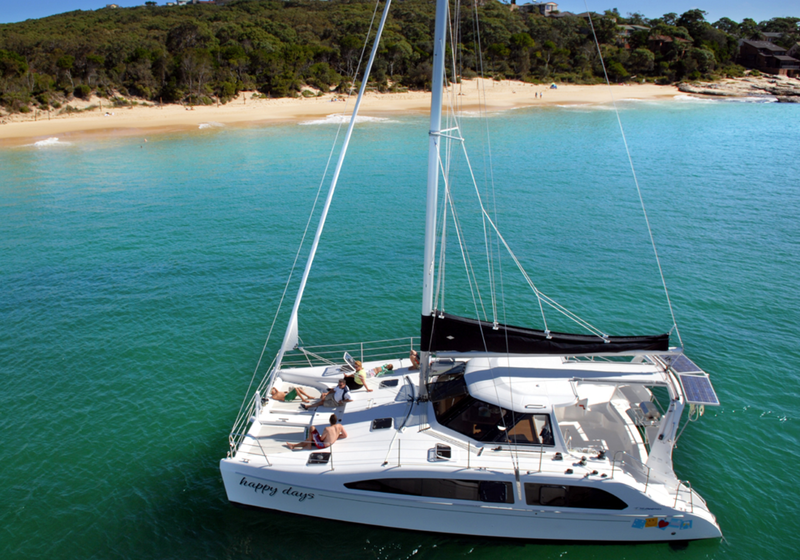 In 2004 Seawind Catamarans launched the 38ft Seawind 1160… a ground breaking and innovative design that gained worldwide acclaim for its open layout and use of space, ergonomic design and efficient short-handed sailing performance. With well over 100 Seawind 1160s launched and sailing the world, the design has been well proven, from crossing the world’s largest oceans to chartering in the beautiful locations such as the Whitsundays, Thailand and Caribbean. Now with the Seawind and Corsair Marine design teams joining forces, a whole new approach is being taken to this classic design. 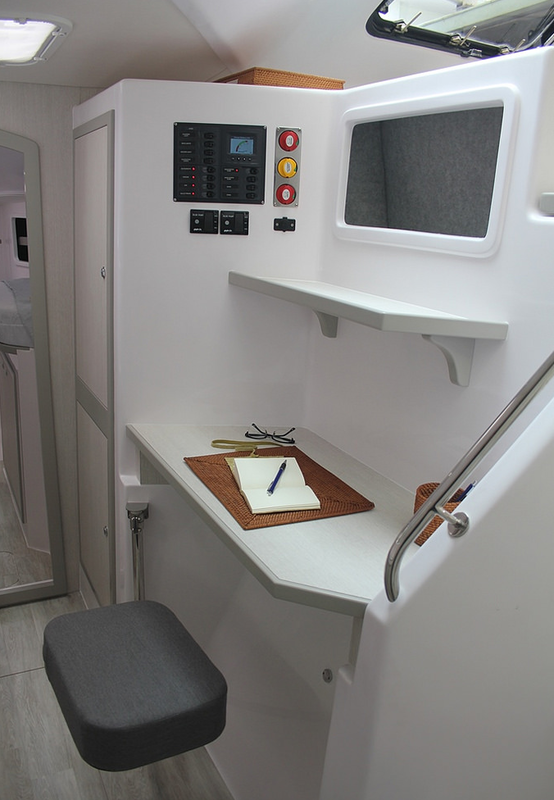 Though the Seawind 1160 LITE will feature the same resininfused construction and same hull, deck, rig, sails and the famous Trifold door system of the previous 100 or so Seawind 1160s built, the design team has gone back to the drawing board on how to streamline the design to offer a robust cruising cat at a very attractive price. 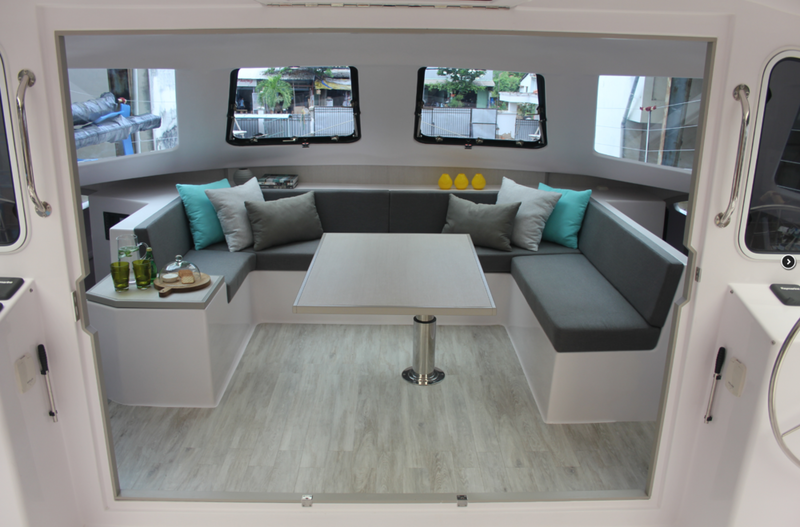 — Mark R, Owner Seawind 1160 LITE "Reality"
One of the most noticeable differences on board the Seawind 1160 LITE is the new sleek interior design and fit out. The timber kit will be replaced with lightweight and stylish timber look laminate surfaces, with a new contemporary neutral colour palette as specified by Seawind’s interior stylist. The upholstery will be modern, angular, yet practical with a range of hard wearing Sunbrella fabrics to choose from. The Seawind 1160 LITE also changes from the traditional diesel sail drives to lighter 20hp Honda (or 25hp Yamaha) outboard engines with electric tilt. 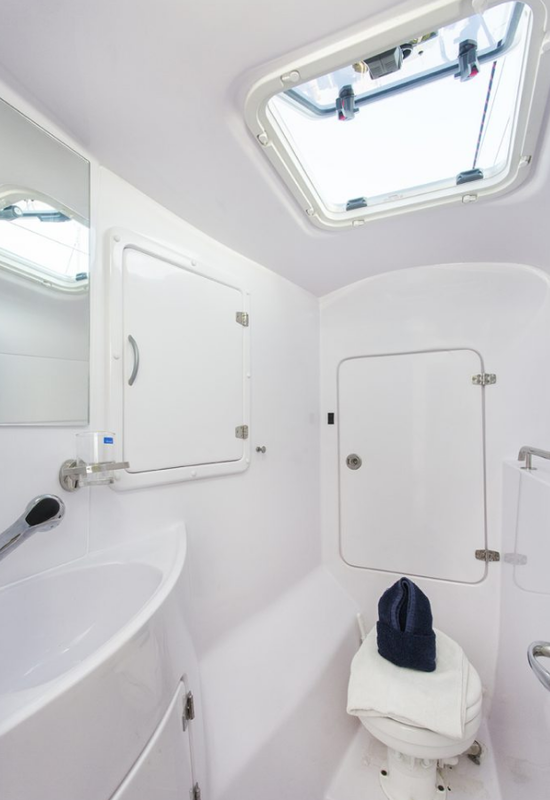 The layout will remain largely unchanged, though the ensuite on the starboard forward cabin will be replaced with a walk in wardrobe and wet locker. 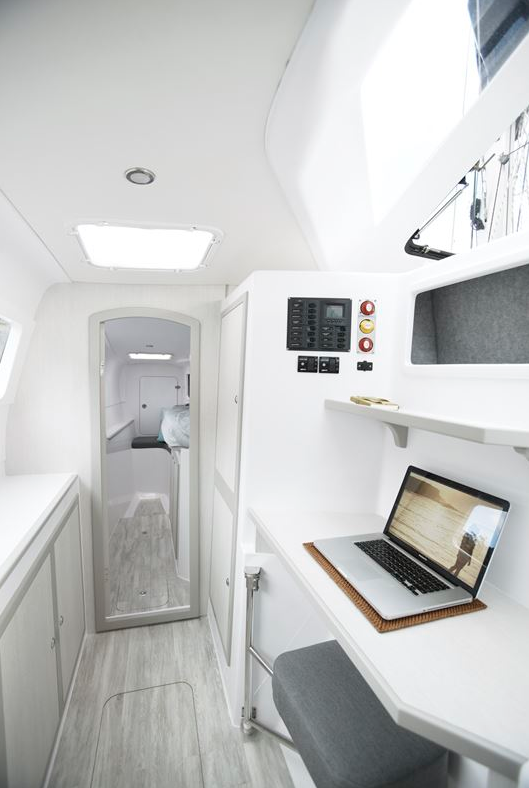 The galley will be simplified with an upright fridge/freezer and 3 burner stove, but still offered the same amount of storage with ring lockers, a handy shelf and plenty of cupboard space – far more in fact than in larger cats with galley up designs. 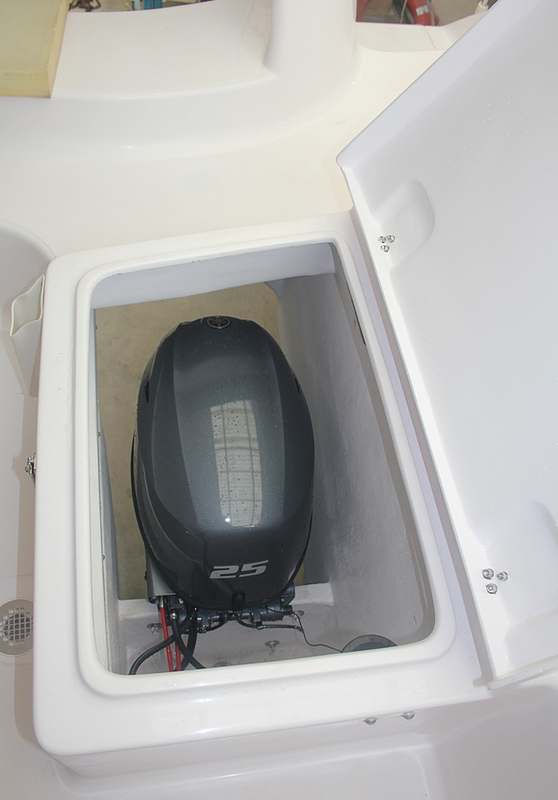 Seawind is an Australian company that now builds its boats in Vietnam with the sister brand Corsair Marine. 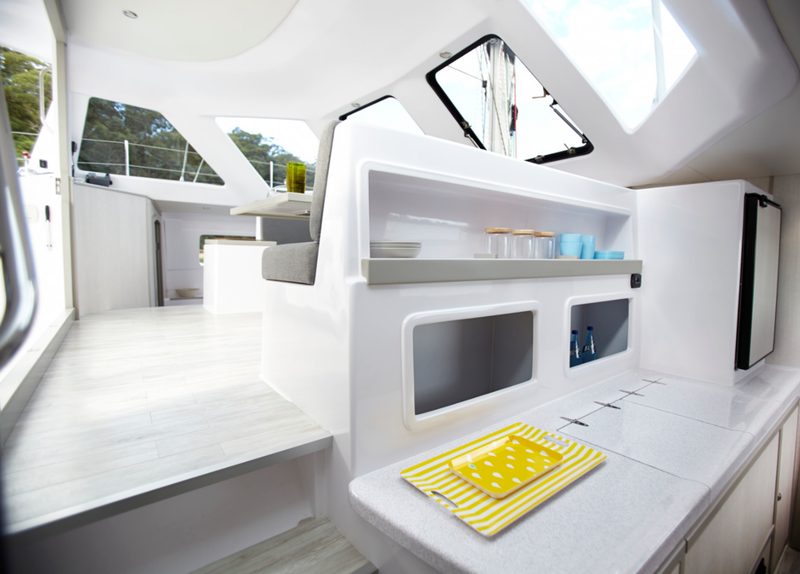 Would you like to know more about the Seawind 1160 Lite?